At keiko recently, I'm getting my more advanced students to return to the first temae they ever learnt. 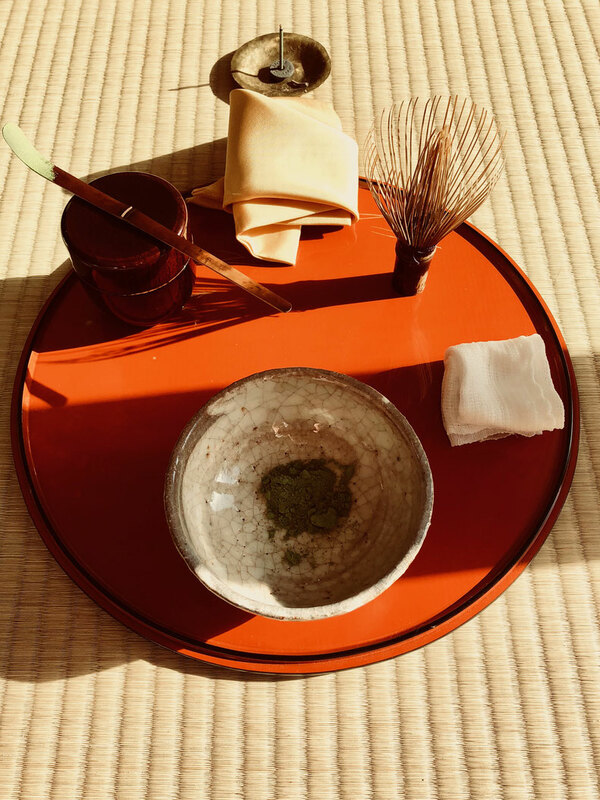 Specifically: the diamond tea meditation, the bondemae (ceremony on tray) and the hirademae (standard temae). After going through many temae up to forms on the daisu (grand sideboard), it's good to come all the way back down. After all, the most basic temae are all based on the original teachings of the daisu. When you revisit these basic forms again, in the silence of the temae you can hear the distant echo of the advanced teachings. This echo carries new understanding. The beauty of chanoyu practice is that each time you 'return to 1', the echo resonates from a place more profound.